• Easy to tear and apply by hand, no need for scissors. • Strong and permanent bond. 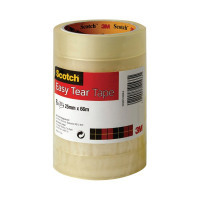 • Ideal for everyday use, a strong sticky tape for sealing and repairing. 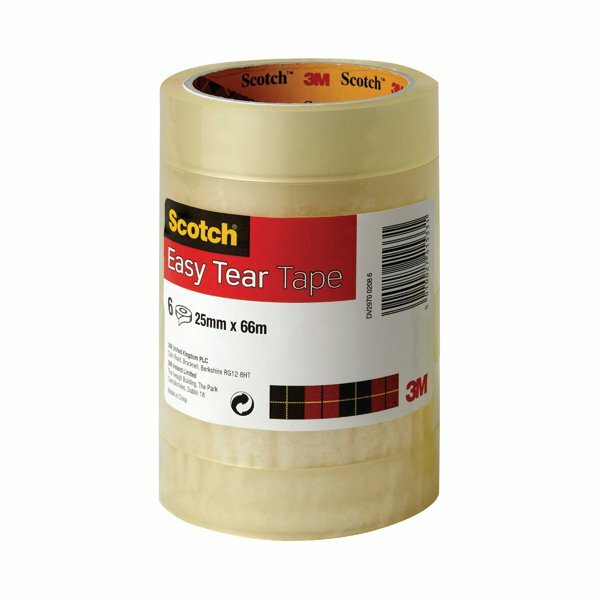 Scotch Easy Tear Tape is designed for everyday use. Great for making quick and strong repairs to torn paper, sealing packages or attaching labels. The clear tape is almost invisible in use for an attractive finish, and can be torn easily by hand for quick application. The 25mm wide tape is supplied on 66m rolls. This pack contains 6 rolls of tape.